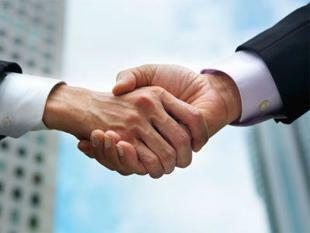 Private sector insurer AEGON Religare Life Insurance (ARLI) Company has announced its tie-up with YES Bank for collecting premiums. This would facilitate customers to pay their renewal premiums as well as new business premiums at any YES Bank branch across the country. To pay ARLI’s premium at any YES Bank branch, the customer needs to fill in the deposit slip in favour of AEGON Religare Life Insurance Company Limited bearing his/her policy number, name and contact number on the reverse of the slip. The customer soon receives a premium payment acknowledgement receipt upon payment across the bank counter. The bank which has more than 130 branches across the country will charge no extra cost for the facility. Any new branches added by YES Bank will be made available to AEGON Religare Life customers to make the renewal premium payment. "Our idea of tying up with YES Bank is to provide our customers with an additional mode to pay their premium, without the hassle of locating and visiting an ARLI branch”, said Sri Yateesh Srivastava, CEO, AEGON Religare Life Insurance. “YES Bank accesses real-time data of a particular policy and simply collects the due premium. We've ensured that the customer details are secured and do not transfer from or to any of the YES Bank branches”, he added. ARLI is a joint venture between AEGON (26%), Religare Enterprises Limited (44%), and Bennett, Coleman & Company (30%).